Looking for somewhere to grab a drink after work to celebrate the big day? 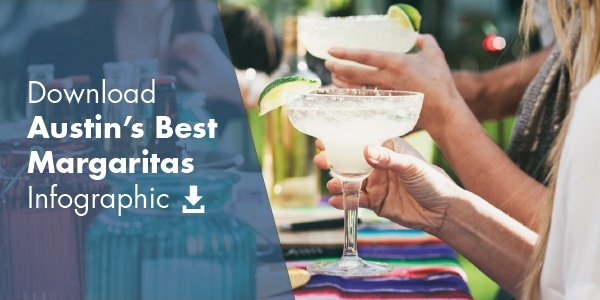 AQUILA put together a handy guide to Austin’s best margaritas. While Austinites swear by their classic margaritas, we also recommend the less traditional spin-off of the Tex-Mex classic, the Alma Blanca, which features habanero-infused blanco tequila, ginger liqueur, pineapple juice and a muddled corn base. Fonda San Miguel has been an Austin institution since it opened in 1975. Photo courtesy of Fonda San Miguel. An upscale restaurant featuring interior Mexican cuisine, their margaritas are made fresh and perfectly balanced. This picturesque spot is the perfect way to experience authentic Mexican food in Austin. Known by locals as one of the best authentic Mexican restaurants in town, Curra’s Grill off of South Congress Avenue offers the most unique take on the margarita on this list: The Avocado Margarita. Grab one with brunch to get your day started right. A favorite for generations of Austinites, Matt’s offers a great house margarita along with interesting seasonal blends. We recommend you grab a seat on the patio while you enjoy this classic marg. The Mean Eyed Cat is a Johnny Cash-themed bar on the west side of Downtown. Photo courtesy of J Dimas. 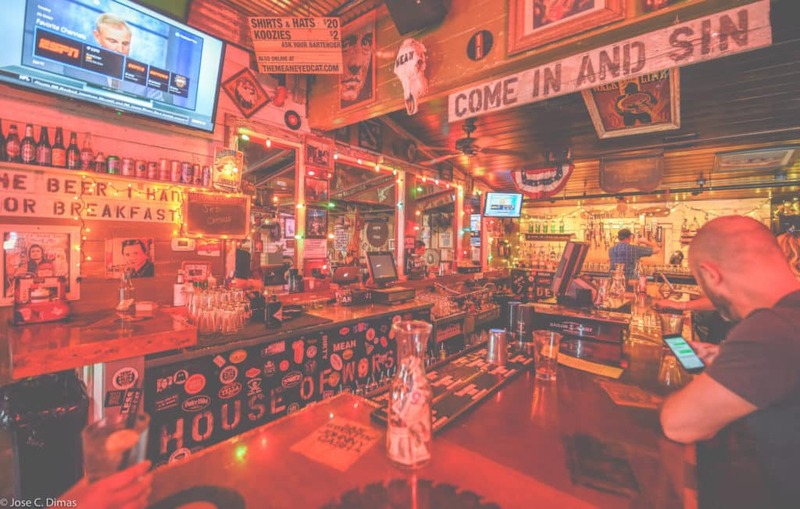 This Johnny Cash themed dive bar is not where you would expect to find one of Austin’s best margaritas. However, if you can handle some spice, grab a seat at the bar and order a Mean Marg made with fresh lime juice, habanero syrup, muddled orange and jalapeno, and Cointreau. 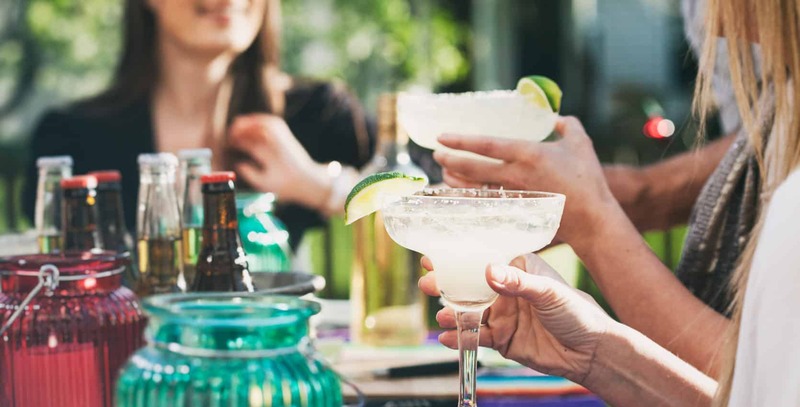 An ideal happy hour or brunch location for you and a group of friends, their margs go down smooth and can be ordered by the pitcher. If you’re looking for a cold, strong drink this is one of your best bets. 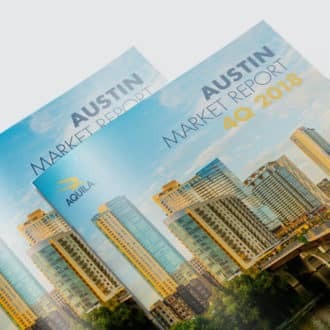 An iconic spot located in the heart of Austin’s famous South Congress shopping district, their fresh made margaritas go great with their fantastic food & service. The wait might be long, so come prepared . . . it’s worth it! The Mexican Martini, which is rumored to have been created at Trudy’s, is a tradition to University of Texas alumni & students. Be prepared for a wait or to sit at the bar, as it can get crowded!